Following the tradition of having everything be a separate app (why? Why????) 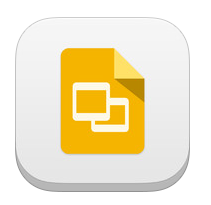 Google has just released Google Slides. So I thought I would take it for a test drive and write my review as a Google presentation. Most of it was done on the iPad, but then I thought to check the difference between my iPad and the Desktop. Notice how it is not embedded. Humph. I did a quick search on the internet to see if anybody else has commented on the reduced functionality of the google suite on the iPad, but not a word. I feel like a crazy person. How hard is it to ask to be able to insert an image or even a link inside your document? How is this helpful for our students who only own an iPad and not a desktop? This is so close to being an amazing free and handy alternative to the paying apps such as Pages, and Keynote, but without the basic ability to make a visual presentation directly on the iPad, the only thing this is good for is a very quick and dirty sketch of a presentation. This entry was posted in app reviews, Google, Presentations and tagged Google Slides by ipadyoupad. Bookmark the permalink.